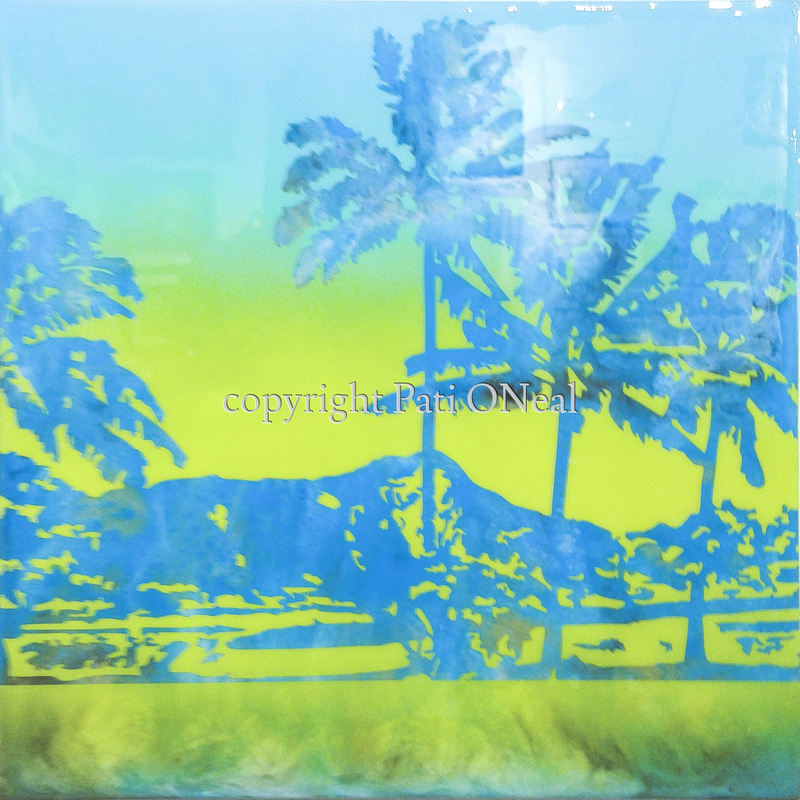 Summer colors depicting a view of Diamond Head. The final appearance is created through the application of multiple layers. This original is currently at Island Treasures Gallery in Kailua, Oahu. For a similar commission contact the artist.